×Reservation for Apartments Aplend Tatry Holiday was succesfully sent. Facility owner will contact you by e-mail or phone. At the foot of the smallest and most beautiful mountains in the world in the High Tatras is known Slavkovský peak recreational complex Aplend. The complex offers exceptional room and relax, and its position is also predisposes to active kind of holiday. Accommodation is available in * villas, houses, apartments or in studies *. 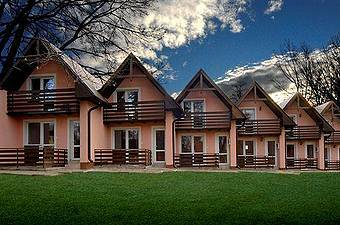 Apartmány Tatry Holiday * Studio in apartment house * – 2-bed studios with extra 1 x double bed + 2 x possible extra bed, TV. Kitchenette refrigerator, microwave, stove and kettle, bathroom / WC, balcony. Internet access. * Apartment type A * – 4-bed apartments with 2 beds 1 x bedroom with 2 beds, 1 x living room with 2 beds + 2 extra beds possible, TV. Kitchen with dining area, refrigerator, microwave, stove and kettle, bathroom / WC. Internet access. 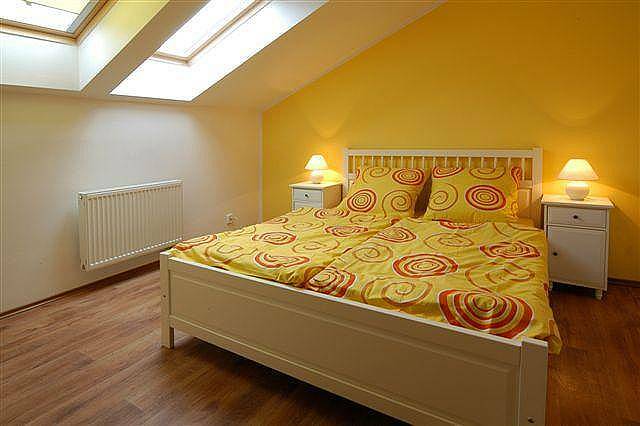 * Apartment * Type B – 6-bed aparmtány with 2 beds 2 x bedroom with 3 beds, 1 x living room with two extra beds, TV. Kitchen with dining area, refrigerator, microwave, stove and kettle, bathroom / WC. Internet access. 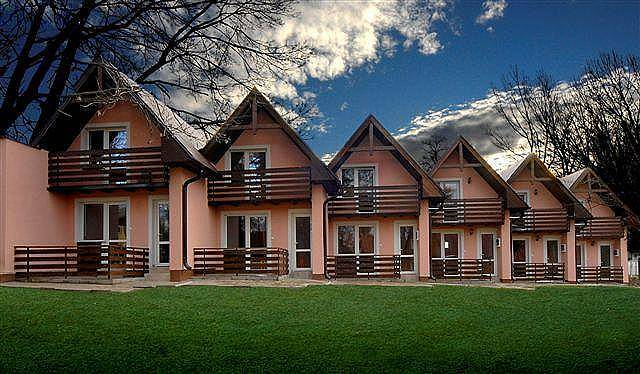 Apartmány Village Tatry Holiday Studio * 2 +1 * – 1-bedroom apartment with bathroom and WC, 1 x double bed + extra bed, TV, mini kitchen (kettle, fridge, dishes). * Apartment * Type B – 4-bed apartments with 1 bed main room with double bed, 1 double bed and TV, shared seating, 2-bedded room with double bed, with entrance hall to the bathroom (WC, bath), kitchenette (fridge , stove, kettle, microwave, dishes). * Apartment type C * – Apartment for 6 people with 2 extra beds 2-bedded room (double bed) + 2 bed, double room with double bed with separate bathroom (toilet, shower), hallway with access to a bathroom (WC , bath), dayroom with TV, kitchenette (fridge, stove, kettle, microwave, dishes). 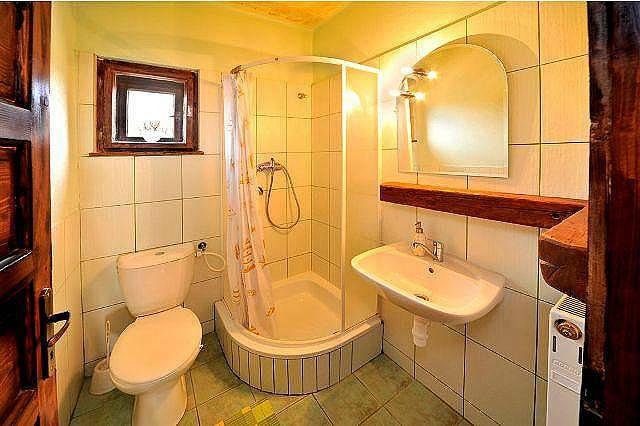 * Vilkova studio Tatry Holiday * – 2-bed studios with 2 beds in the study is 1 x double bed + 2 x possible extra bed, TV. Kitchenette, fridge, microwave, stove and kettle, bathroom / WC, wifi connection. You can order breakfast, half board and full board. Catering is provided in the restaurant, which is located within the facility. There is a children’s climbing frames and slides are well prepared for clients sitting at outdoor fireplaces in covered gazebo. The possibility of using a football field, which is located in close proximity to the resort. There Tatry Holiday is a restaurant which provides the opportunity to purchase breakfast, lunch and dinner.